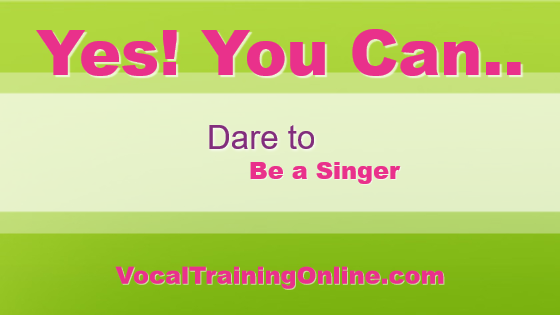 If you are sorta brand-new to singing you are going to enjoy these voice lessons. These singing tips are really quite simple to understand and you can definitely do them with a little practice. Take time to jot down a few notes and be prepared to practice exactly what you’ve discovered here. The singing ideas and methods will be well worth the effort. Along with your singing voice. Without using steroids, the most effective way to increase your lung capacity is cardio exercises. These exercises strengthen all parts of your body particularly from the hip up. And, this includes the posterior muscles, the groin, the diaphragm, and the rib muscles (intercostals). This entire set of muscles support your vocal sound and projection. This set of muscles allows you to sing with ease and strength. If they are weak, so is your sound. This is why exercise becomes so important. First, consider vocalises [French derivation]. This exercise of different vowel sounds is fundamental in learning how to project and focus a tone to the point that it sounds pure and effortless. A vocalise can help expand vocal range from higher to lower. The process of singing much higher or lower during a vocalise requires more air especially when singing at a softer volume. When you exercise the muscles that lie from the hip up, you find yourself breathing in an enormous amount of air. And, this breathing helps to sustain or reach those notes you desire. Second, incorporate physical exercise in your daily regimen. Any exercise that affects parts of your body from the hip up is very beneficial to vocal singing. Third is a point that isn’t exactly about exercising. But, it has just as much or more impact on not only your singing voice but your very life. That is smoking. Smoking puts smoke, tar, nicotine and other poisons into your lungs. Just because you’ve puffed out doesn’t mean these contaminants have actually been puffed out of your body. Not only do these toxins remain and use space in the lungs for clean air needed, these harmful substances deteriorate every part of your air passage way. They begin at the opening of your mouth. Then, the smoke goes to your inner throat on down to the tiny pulmonary alveoli or hollow cavities in your lungs. The tiny pulmonary alveoli are the primary sites of gas exchange. The passageway of poison from a cigarette to your bloodstream is a sure-fire way of death to your singing voice. This is caused by of lack of air and death to your life. But you already know these things, don’t you? So I’ll let it go at that. A Most Awesome Singing Tip – Nothing works unless you do! You’ll find the more you exercise, whether using vocalises or physical exercises, the easier your voice singing will become. Why? Because your lung capacity will have actually increased. And, the strength of the muscles that help produce a full sound for your singing voice are stronger. You get more sound volume and gain more control with your singing talent. 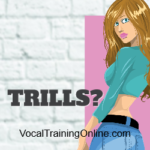 Now that you’ve learned a few more singing tips and how to get better, you’ll want to take your vocal abilities to a greater level. 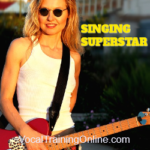 There are lots of terrific vocal training courses online you can take like Singing Superstar. Get your copy at the main website and learn about all the fantastic bonuses offered. ==> See Singing Superstar in action here..
See you next time. Continue practicing to sing better. Ready to learn more cool singing tips & stuff?